Gourmet jamon serrano and gorgonzola cheese toastie on sourdough bread. 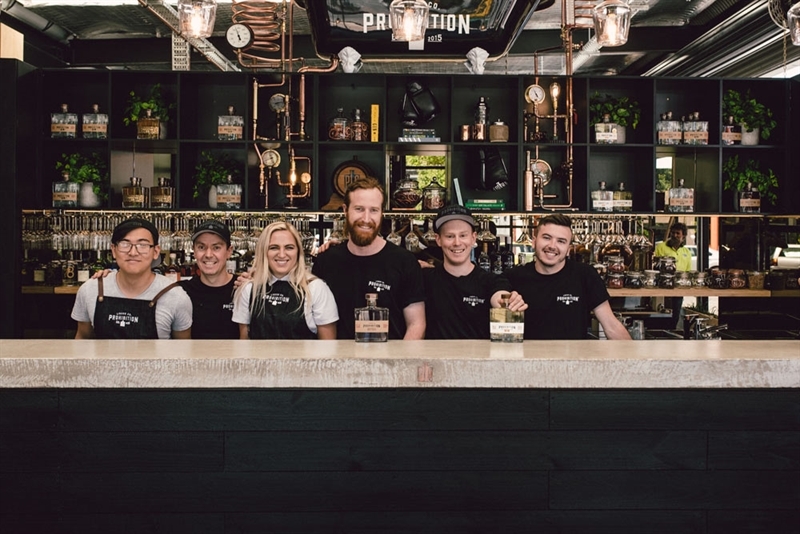 Celebrating all things gin in the heart of Adelaide's CBD, Prohibition Liquor Co on Gilbert Street is the hot new spot in town. Combining the world's finest botanicals to create a sophisticated and premium end result, Prohibition serves up liquor and gourmet bar food to those looking for after work catch ups with friends, in rustic surrounds of reclaimed timber, copper and glowing pendent globes. Perch at the bar and sip on gin from either Australia ord overseas, while perusing a menu of taste tempters like a cheese board with lavash, tomato chutney and muscatels. Still hungry? Chow down on an Italian toastie with sopresso, provolone, tomato and olive tapenade; perhaps share a trio of housemade seasonal dips with grilled pita bread - best teamed with a Bathtub Gin Sour.